• The national contingency program is available for any IHRA member who advance to the final two rounds each day. Click here to view IHRA contingency partners. 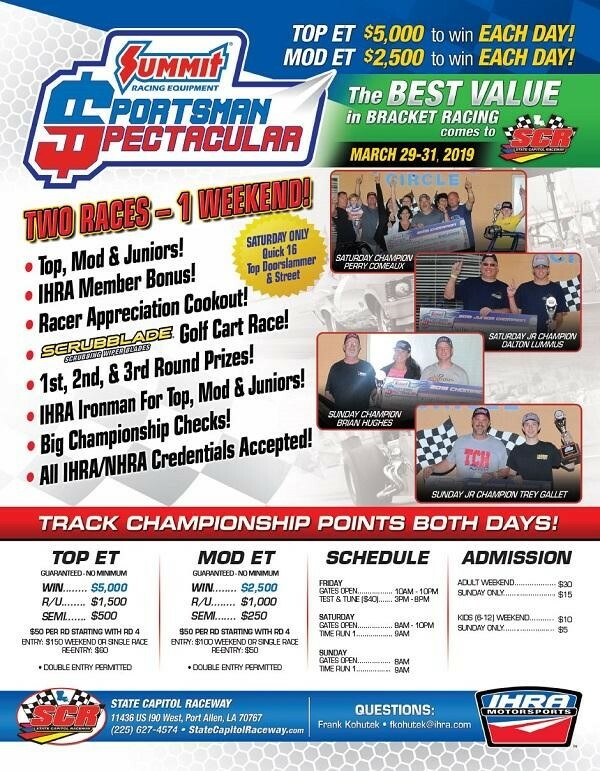 • Thousands of dollars in round prizes available to all IHRA members in the first three rounds. Click here to view round prizes. • Event entry will take place at the track. • Text IHRA to 55222 to receive lane calls, event info and updates regarding the State Capitol Raceway event.